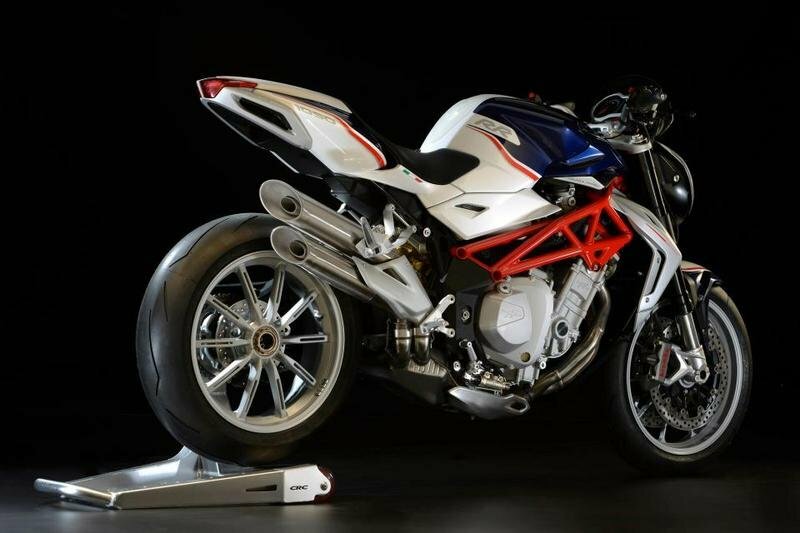 The MV Agusta Brutale 1090 RR has received a set of upgrades for 2013. The improvements include both style and technical modifications. 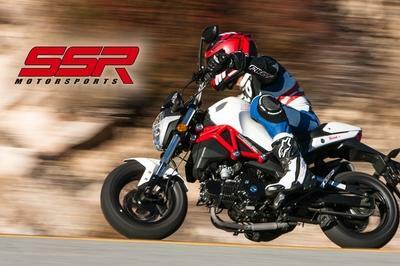 The 2013 model is available in three variants, namely the Brutale 1090, Brutale 1090 R and Brutale 1090 RR. The latter is the most capable version, featuring a range of features designed to make it the ultimate naked bike. 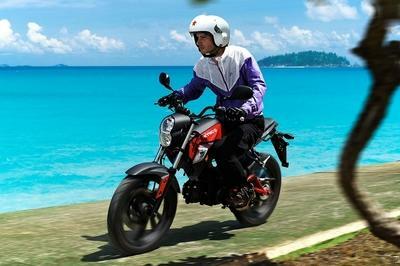 The motorcycle continues to be the benchmark for handling thanks to the continually refined and improved suspension. The 50 mm diameter front forks are fully adjustable by means of special external adjusters: compression on one leg, rebound on the other and spring preload on both legs. The shock absorber is similarly capable, as is completely tunable featuring spring preload, rebound damping and also offering the possibility to vary the low and high speed hydraulic compression damping. At the heart of the motorcycle lies the strong 1078 cc, four cylinder engine which is paired with a six speed transmission. 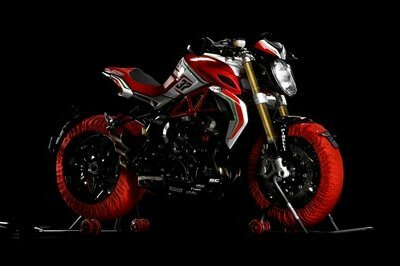 Hit the jump for more information on the 2012 MV Agusta Brutale 1090 RR. The most celebrated four-cylinder naked has been redesigned with increased charm, components and quality of finish. Three Brutale variants with three distinct characters. 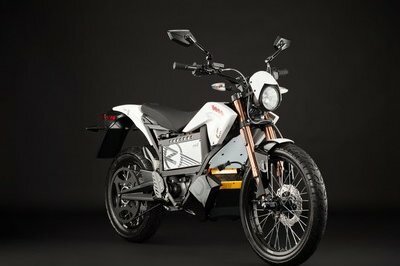 The Brutale 4 cylinder 2013 range is based on three new models: Brutale 1090, Brutale 1090 R and Brutale 1090 RR. Form and function: following these inspirational principles Brutale continues to fascinate and has evolved in many details. 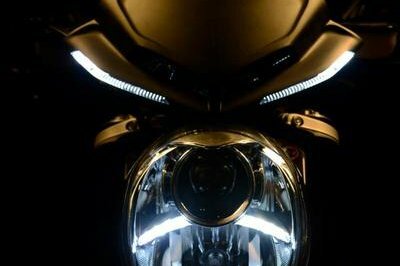 Having immediate impact are the lighting elements, day running lights, arranged symmetrically on either side of the dashboard cover: capable of enhancing the whole frontal section, also making the motorcycle more visible and therefore safe during day and night. Another ray of light comes from the four-cylinder engine, now silver, a color that emphasizes its compactness and accurate implementation of all its elements. 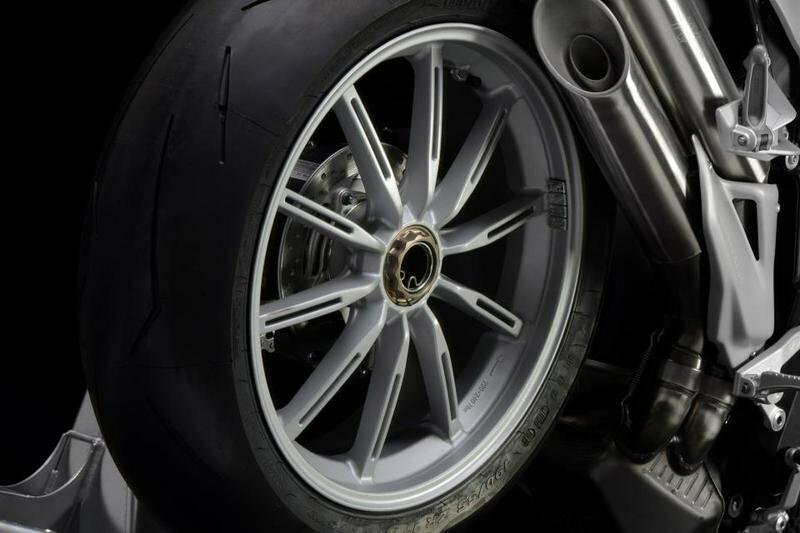 The same chromatic range characterizes the new wheels, a unique design in the motorcycle industry: the multiple spokes are split and give rise to a fascinating design and at the same time efficient, considering the weight of a pair of wheels has been decreased by about 1.500 grams compared to those fitted on previous models. The two new double exhaust silencers, a key element of the design, have become even more racing thanks to tapered ends, with a decisive diagonal cut reminiscent of American dragsters. The surface finish enhances its compact size; the new aluminum plate that prevents contact with the pipes has been redefined. 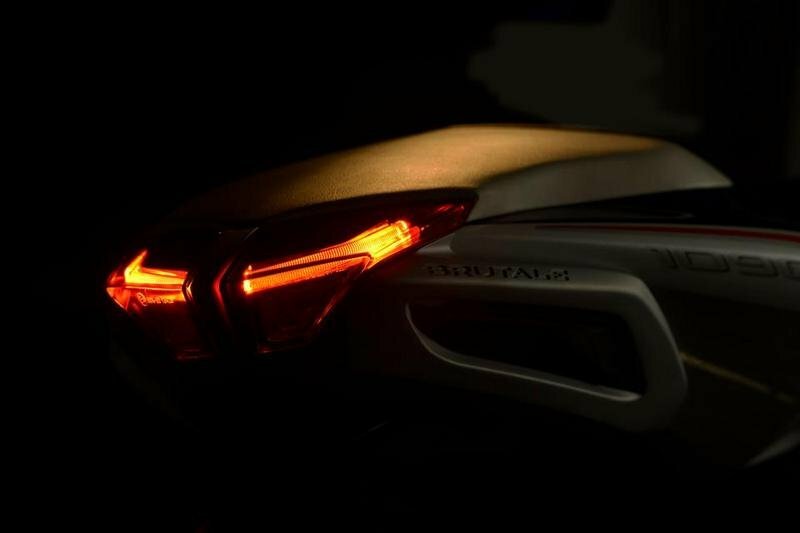 Updated features also for the new tail light, now with latest technology contour illumination, and rear view mirrors having a revised design for the Brutale 1090. On Brutale 1090 R and Brutale 1090 RR the indicators are integrated within the mirrors, benefitting look and dimensions; on these same models, the rear indicators use LEDs. The license plate holder is now metal, lighter and essential, and therefore able to further enhance the design of the compact, unique tail. On Brutale 1090 the new single piece seat benefits from new curves, improved ergonomics and a higher level of finish. 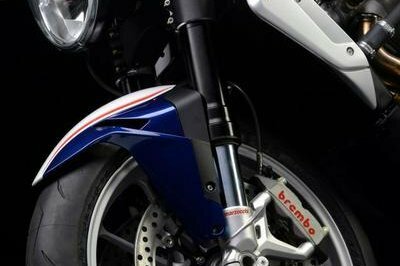 Lastly, the front fender has also been redesigned with ample openings to reduce weight. The inline four-cylinder architecture of the MV Agusta is part of history and this engine is found on the complete Brutale range. With a displacement of 1078 cc, it employ’s a bore and stroke of 79mm and 55 mm. Unique to the motorcycle industry is the double overhead camshaft with four valves per cylinder which are arranged in a radial pattern. The engine employs both water and oil cooling with separate radiators. Two engine configurations are offered, they are characterized by different values of maximum power and torque: Brutale 1090 and Brutale 1090 R reach 144 hp (106 kW) at 10,300 rev / min and 112 Nm (11.4 kgm) of torque; Brutale 1090 RR reaches the impressive power of 158 hp (116.5 kW) at 11,900 rev / min and 100 Nm (10.2 kgm) of torque at 10,100 rev / min. 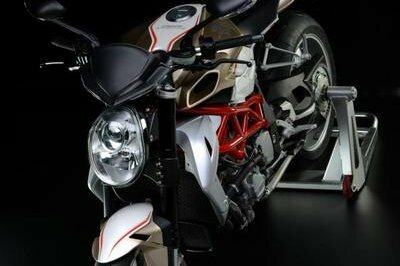 The cassette style removable gearbox is a six speed, constant mesh, another touch that makes MV Agusta exclusive. The multi-plate clutch in runs in an oil bath and on the Brutale 1090 RR it employs race track derived slipper clutch unit. 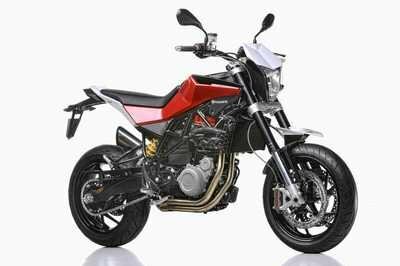 The composite frame of the Brutale is composed of the high strength tubular ALS steel front section coupled to the single sided swingarm by two aluminum plates. 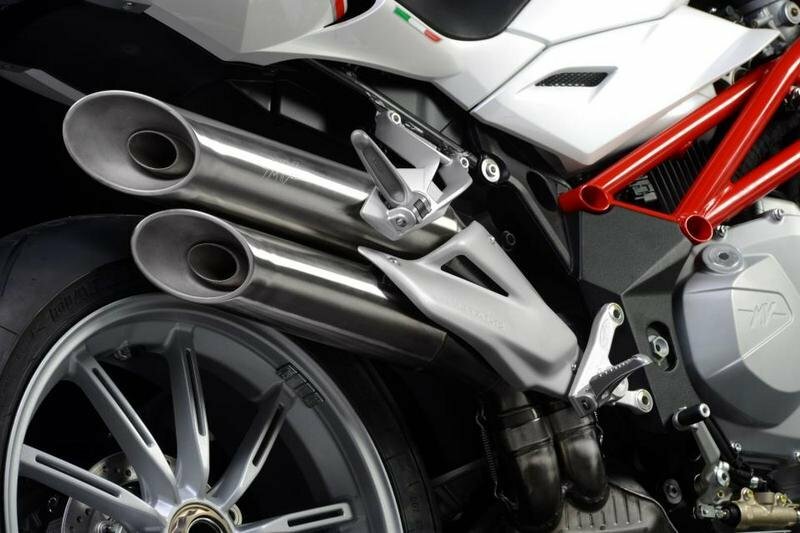 This configuration provides the best balance between efficiency and weight, as well as a characteristic of every MV Agusta. Size and dimensions remain the same: wheelbase of 1438 mm Brutale 1090 RR (1430mm on Brutale 1090 and Brutale 1090 R), trail of 103.5 mm. Brutal continues to be the benchmark for handling thanks to the continually refined and improved suspension. The 50 mm diameter front forks are fully adjustable by means of special external adjusters: compression on one leg, rebound on the other and spring preload on both legs. The new axle carrier allows quick release of the front wheel: a touch of functionality typically found only on race bikes. The shock is completely tunable with some distinctions depending on the version: on the Brutale1090 and Brutale 1090 R it is possible to adjust the rebound and spring preload; Brutale 1090 RR offers a wider range of adjustment, in addition to the spring preload and rebound damping it is also possible to vary the low and high speed hydraulic compression damping. The braking system of every Brutale employs components of the highest quality: two front discs 310 mm in diameter for Brutale 1090 and Brutale 1090 R, 320 mm discs are used on the and Brutale 1090 RR, floating, with steel braking disks and an aluminum disk carrier. The rear disc is also made of steel with a diameter of 210 mm. Calipers are four-piston front and rear; Brutale 1090 RR employs Brembo monobloc front calipers for maximum braking efficiency and weight reduction.